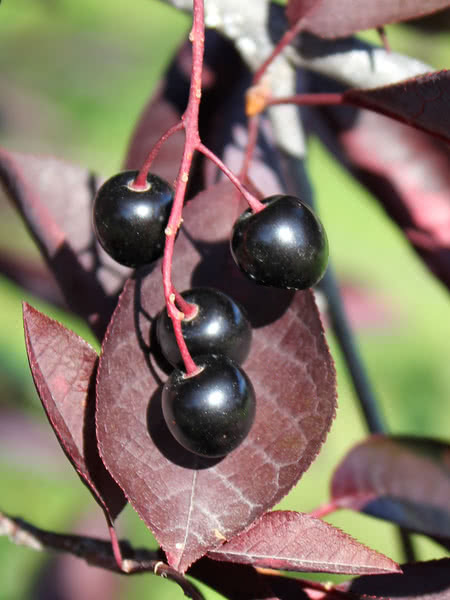 Schubert Chokecherry is similar to a western chokecherry but features beautiful purple-red leaves throughout the summer. This small, flowering tree is perfectly suited as an ornamental for city yards. Please Note: These trees are grown from seed. Therefore approx. 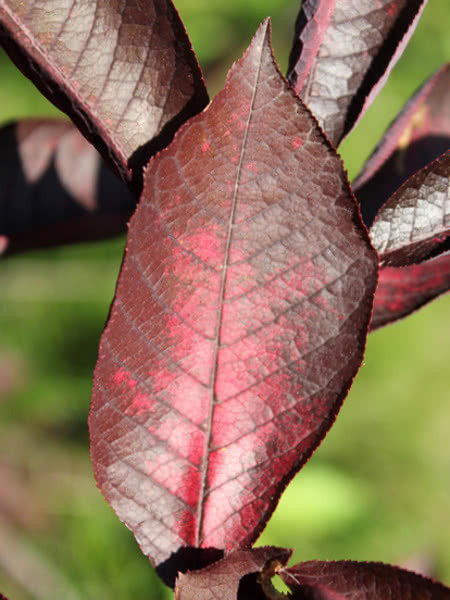 20-40% will have red leaves, the rest will remain green. 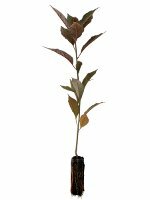 Seed grown trees are much less expensive than those grown from cuttings or tissue culture. This non-suckering selection of the Schubert Chokecherry is dark red in color, almost black. 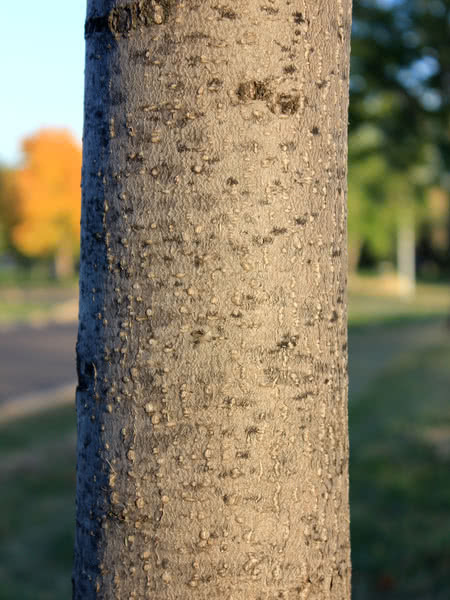 It also has a paler color of bark that makes a stark yet attractive contrast. These trees are grown from tissue culture to ensure clonal reproduction.